Tipp & Co. (Tippco). Tippco’s history is interesting. Founded in 1912 and named after an early director/employee (? ), Miss Tipp, its ultimate owner, Phillip Ullman, was forced to flee Germany in 1933. He went to England, where he founded Mettoy, eventually returning to Germany to recover his company after the war. 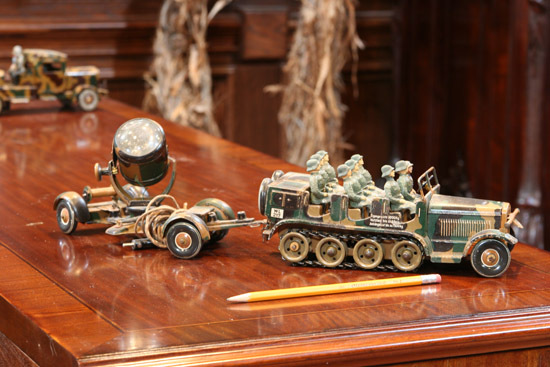 Tipp’s military vehicles are among the finest clockwork tin toys produced in the pre-War era as well as one of the better companies that produced tin windup toys of high quality such as Lineol and Elastolin. 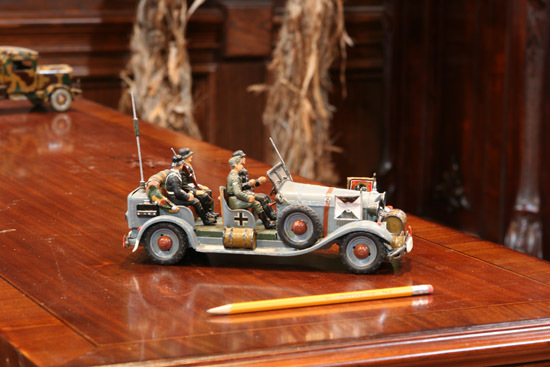 Some of Tippco’s pieces are particularly well-crafted, such as the Hitler Mercedes car. 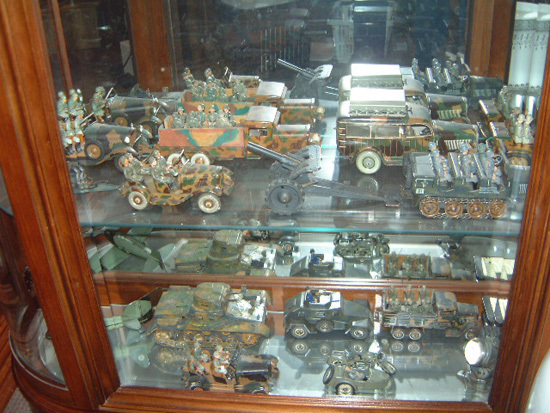 The following pictures are just some of the large collection of pre-War era Tippco toys. 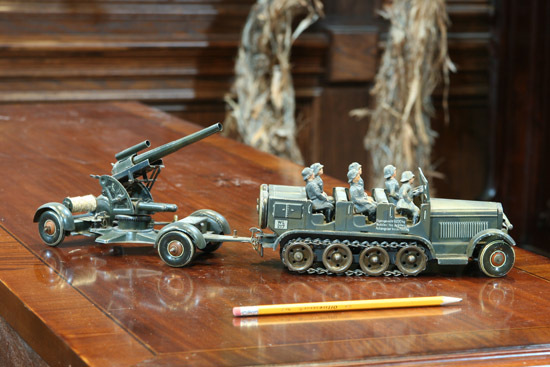 Most of the Tippco Hitler-era toys were destroyed after the war. There are very few toys that exist today that are museum quality and we have all but a few. Two Tippco Fuehrer Wagons. One has battery powered electric lights and they both have clockwork windup motors. The one on the left has two soldiers and two officers. The one on the right has a driver flanked by three composition infantry soldiers. 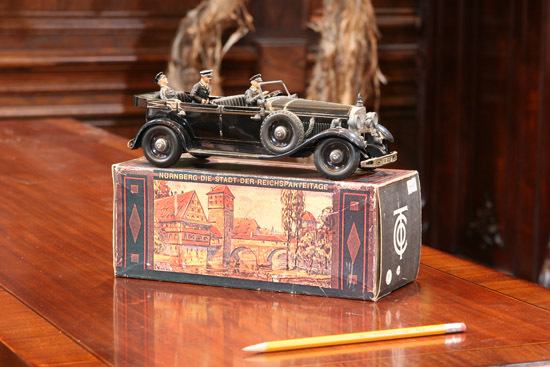 A very rare boxed example, one of the many versions of the Fuehrer Wagon. 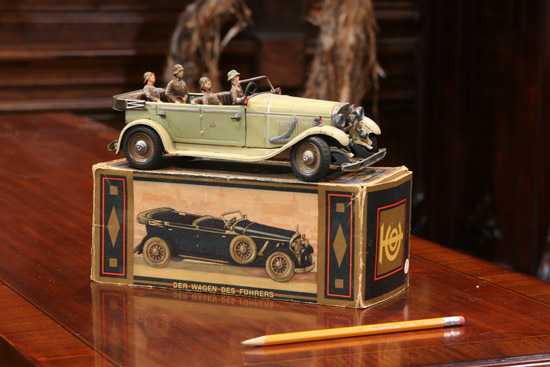 Most all of these were Mercedes Benz automobiles and were produced in various colors and had clockwork motors, some of which were very rare and very few have a box, which can be worth more than the toy itself. This example features two officers in the rear and a driver. 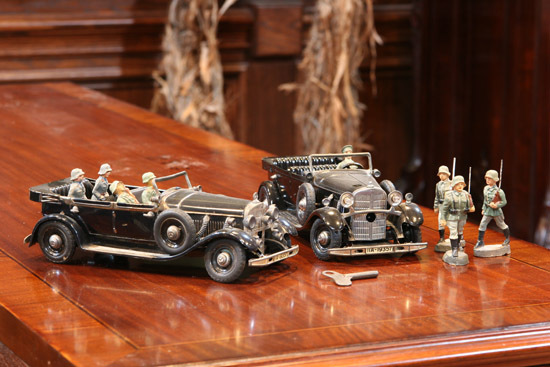 Another boxed version of the Mercedes Benz Fuehrer Wagon without side mount tires that features a clockwork motor, a light green color, three soldiers and a driver, and has a very nice original box. A fine example of a Tippco clockwork motor driven military motorcycle with a sidecar rider and a passenger. One of few (known) examples in this condition. A very fine example of a Tippco military clockwork motor driven Troop Carrier with a battery powered search light. This beautiful camouflaged vehicle features seven composition soldiers and a driver. 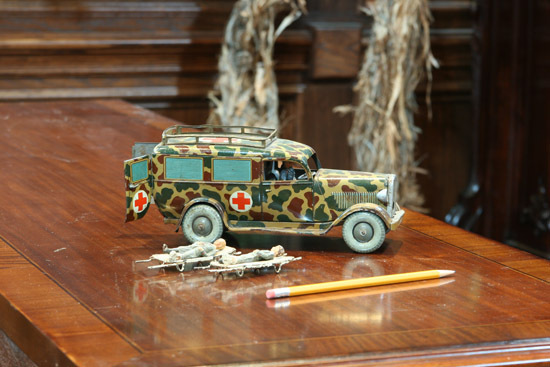 A Tippco military camouflaged ambulance featuring a clockwork motor with opening rear doors, a driver and medic as well as two wounded soldiers on stretchers. This toy is very seldom found with stretchers let alone with composition soldiers. A very fine example of a Tippco military clockwork motor driven Troop Carrier Towing an 88mm anti-aircraft gun. This vehicle features five composition soldiers and a driver. 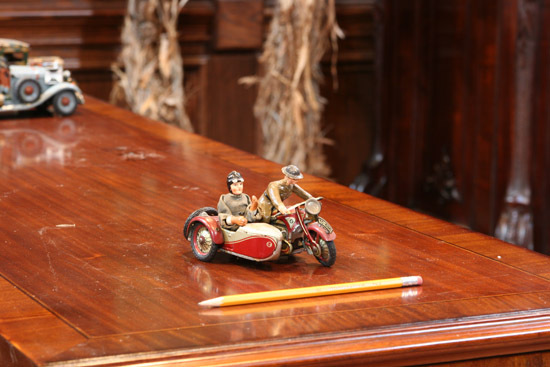 The Fuehrer Wagon also came in a rare grey version, click here for more info.